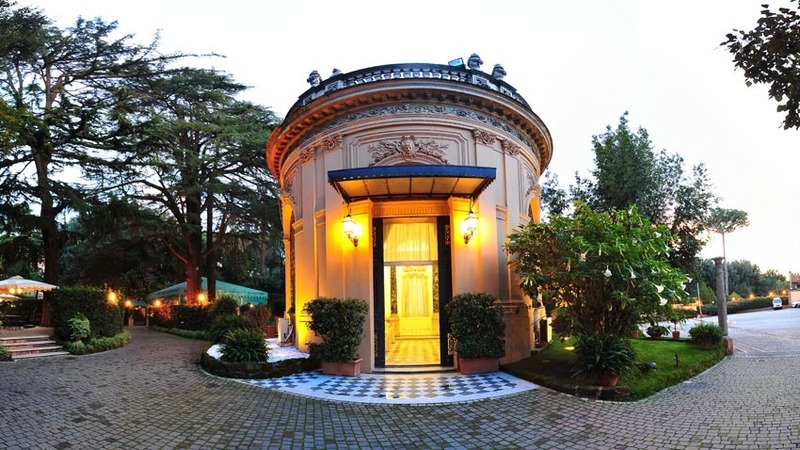 In the heart of Rome, among the most prestigious noble Palaces. 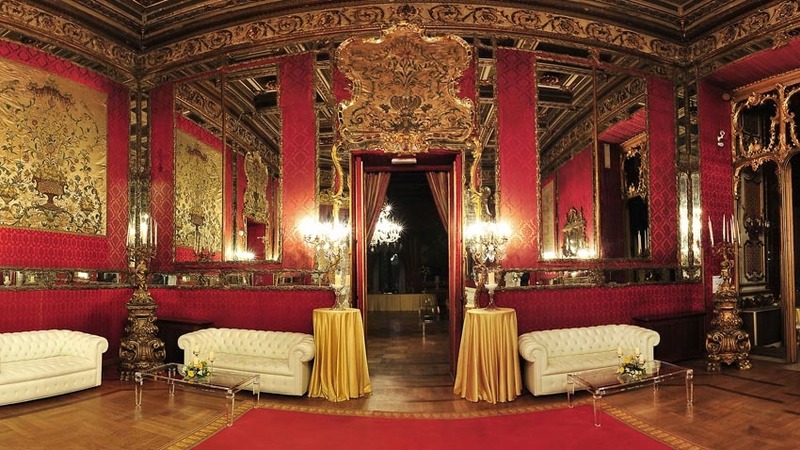 One of the most beautiful and exclusive Patrician Palaces built around the end of the 19th century, a rare example of classy and refined elegance. This palace sets in a beautiful natural park with old plants and fountains with an enchanting Little Palace House in the center of a pond, which is rich of decorations and paintings. 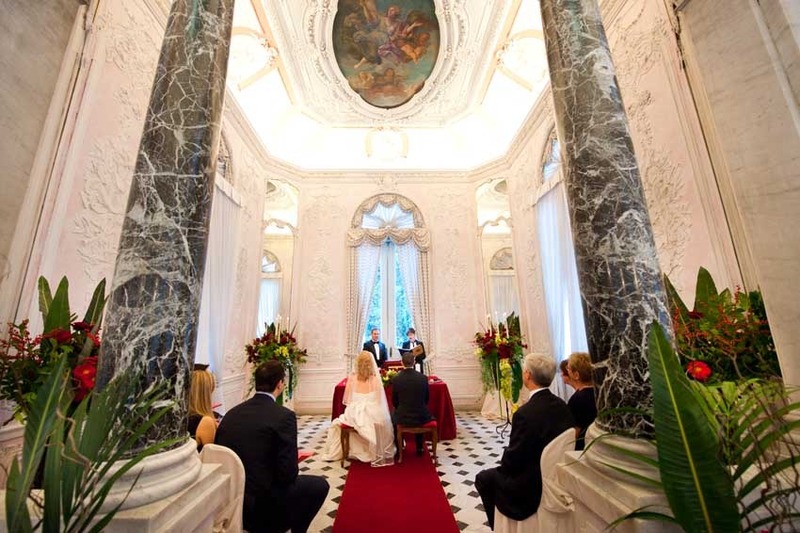 This Palace is a preferred location for couples who wish to have the whole event in the same place: a romantic wedding ceremony, a sumptuous banquet and dancing party that goes over midnight. Different areas are suitable to host a wedding day. With good weather conditions the reception can be held outdoors. 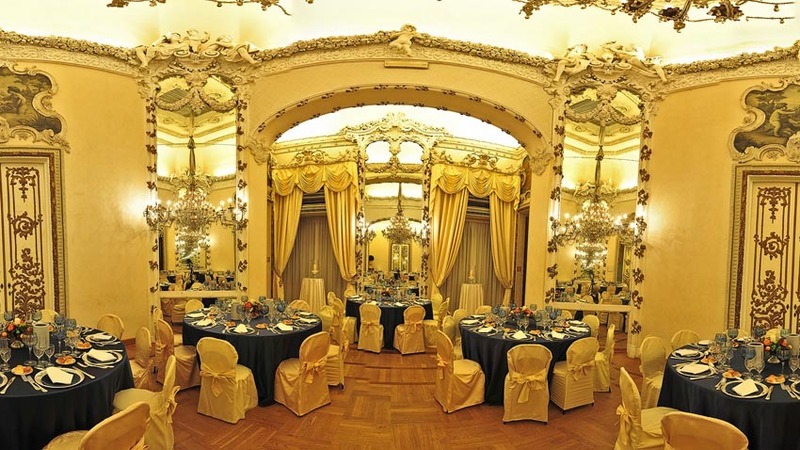 Wedding menus are prepared by the chef of the Palace. This little House looks like a small chapel and can be rented for blessings or symbolic ceremonies. 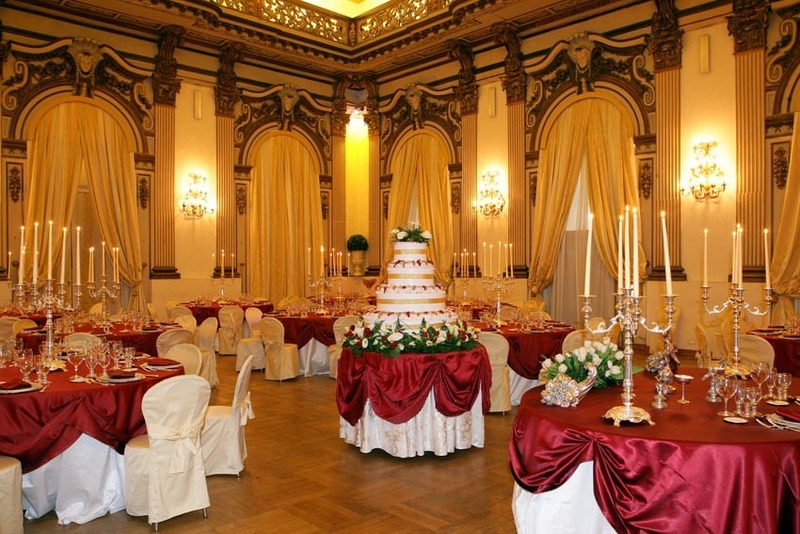 The interior is suitable to max 40 guests and it is possible to customize the set up with seats for all guests, a beautiful long carpet in carpet in ivory, bordeaux, blue or green, special stools for Bride and Groom and witnesses and a beautiful ceremony table with candelabras and floral arrangements. Live music is allowed to, no restrictions. Groups of more than 50 guests can use the Angel’s Hall inside the Palace or stay outdoors under the Gazebo. The aperitif following the ceremony can be organized in the garden around the Fountain or under the Gazebo that is suitable to group of max 100 guests. Couples wishing to stay outside can use the garden for the aperitif and the Gazebo for dinner if weather allows it. Buffet corners with tables and chairs for all guests, ivory or green linens, torches or candles can be organized to decorate the area and create a special atmosphere. Live music allowed. 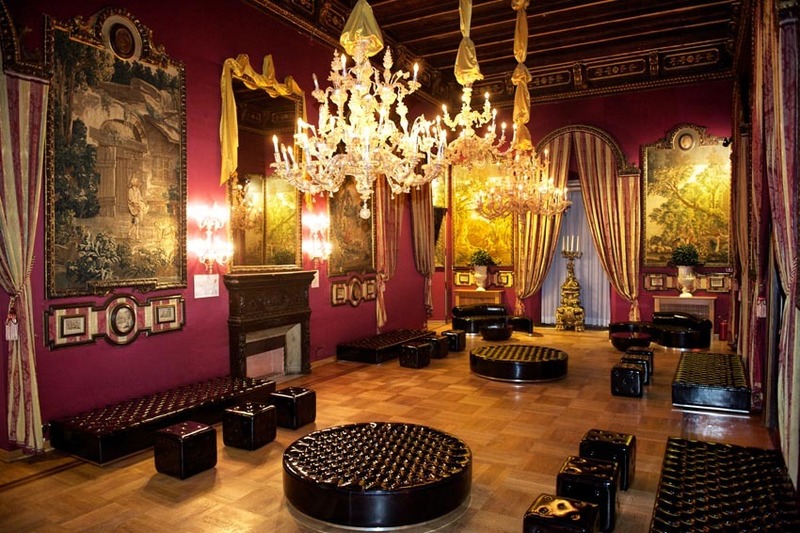 Palazzo Brancaccio halls are suitable to small, medium and large group ranging from min. 20 to max 180 guests. 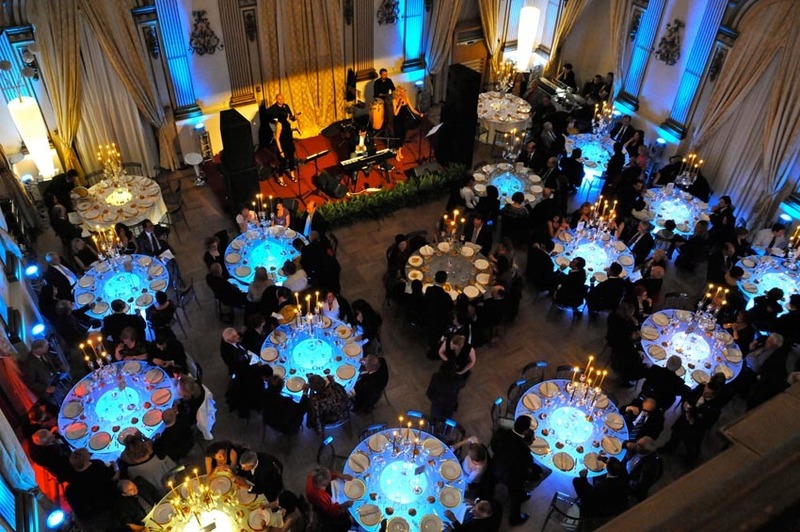 Groups of max 85 guests: the Arazzi Hall can be used for the aperitifs, cutting of the cake, open bar and coffee, while the Angel’s Hall is set up for dinner. Min number of guests to be guaranteed: 20. With 50 guests they don’t apply any rental fee. 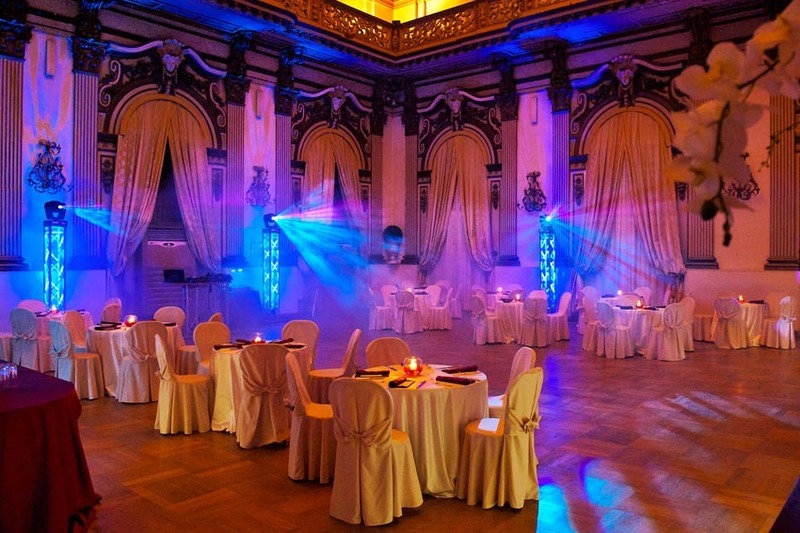 Groups of max 180 guests: Mirror Hall and Bar Hall are the areas for aperitifs, cutting of the cake, open bar and coffee, while the Gala Hall is used for dinner. Min number of guests to be guaranteed: 90. With 130 guests they don’t apply any rental fee. Exclusive use of the whole property must be agreed upon request. For groups with 100 guests with exclusive use of the Palace we suggest the following settings: Ceremony in the Angel’s hall. Welcome cocktail in the Mirrors’ Gallery and Bar hall, dinner in the Gala hall, then back to the Mirrors’ Gallery and Bar hall for coffee, sweets and open bar. The party must end by 00:30. Every extra hour after midnight is subject to the payment of an hourly extra fee. The palace has no accommodation on site.